Indonesia is a big country with a population based on the census results in 2010 hasÂ reached 236 728 379 people, inhabit the five (5) major islands of Sumatra, Java, Kalimantan, Sulawesi and Papua, which lies in the range among 17 504 islands that are included in the territory of the unitary Republic of Indonesia. Since the beginning of the independence of IndonesiaÂ from Dutch colonial rule in 1945, the founding fathers of the nation are already aware of the diversity of the Indonesian nation which consists of 30 big ethnic, and the follower of five (5) major religions which has now become six (6) major religions, namely Islam which is embraced by 87.18% of the population, followed by Christians that is embraced by 6.96% and Catholics that is embraced by 2.91%, then Hindu that is embraced by 1.69%, Buddhist that is embraced by 0.72%, and finally Kong Hu Chu that is embraced by of 0.05%. The rest are followers of other religions who are not registered as official religions of the Indonesian nation. Â Â Â Â Â Â Â Â Â Â Â The founding fathers of the country had put the deal since at the beginning, that they were different in terms of ethnicity, religion and culture, but they had one common goal that was to become an independent nation that can set their own country in order to create mutual idealism to be a developed, justice and prosperous society. To be a developed country which is able to stand in line with other nations in the world, and manage the entire potential of the nation, political stability, public participation and the power of the human resources that are reliable, are necessary needed. For the sake of the political stability, the diversity of ethnic, culture and religion should become the basic capital of the development and should not be a source of division that would only prohibit the speed of the nation development. For this reason, the state presents to govern the religious life by regulating the patterns of inter-religious relations, internal relations within those faiths, and between religious communities and the government. The state also presents in the preparation of human resources for fostering the religious life in the religious community. Thus, horizontal conflicts can be minimised and further highlight harmony and togetherness rather than conflict and tension. Â Â Â Â Â Â Â Â Â Â Â How the state regulates religious life which is generally in the world community that considers that religion is a private affair and the state should not interfere in that very personal life. And how the state presents in the process of fostering of religious in their respective religious communities as well as communication between and inter-religious so that the potential of this nation can be put well together and became the nation’s capital power towards a developed, independent, justice and prosperous society. Attention to build harmony in diversity has been determined since the beginning of the independenceÂ by establishing a Ministry Religious Affairs in 1947, with one of its duties was improving religious life, whether Islamic, Christian, Catholic, Hindu and Buddhist and Kong Hu Chu communities, particularly in promoting harmonious between all religious followers under the frame of â€œharmony in diversityâ€. For that purpose, following the statement in the Constitution chapter XI article number 29 point 2, that the state guarantees a freedom for every citizen to embrace a religion and doing worship based on their religion and faithâ€, year 1965, theÂ state also issued the bill no. 1, year 1965, on prevention of religious abuse or religious desecration. 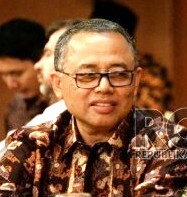 Based on those basic regulations, year 1967, the ministry of Religious Affairs held the meeting between all religious communities, and Mr. President Soeharto confirmed “that the government will not hinder the spread of the religion with one condition that the it is addressed those who does not have religion in Indonesia. To all the religious leaders and all communities were asked to do the spirit of tolerance towards all religious followers”. President Soeharto asserted that the spread of religion is only possible for groups of people who have not been embracing a certain religion, while those who have become followers of the religion, be fostered the quality of their religious commitment and consistency among all their daily live, by each of the religious leaders and priests. Third; When it turns out that the implementation of religious development and broadcasting as defined by Second Dictum, causing disruption of inter-religious harmony, an action will be taken in accordance with the prevailing legislation. Maintain national stability for the sake of the nation building process, either in economy, politics and social life, because religion is a factor that is particularly sensitive in the community and the emotions will be ignited very easily only by very trivial factors. If there is social tension, and the is followed by violence, it will be very difficult for the government to build social cohesiveness in the process of strengthening the nation development. Establish a harmonious in intra and inter-religious followers, because the action of the religious spreading, especially with the approach of awarding the present, will be very disruptive to social convenience, and will ignite the emotions of the other side which will lead to social conflict. Decree of the Minister of Religious Affairs also issued as a strategy so that the government presents in the religious life of the community, especially in the context of religious mission, fostering the harmony of the intern and inter-religious followers, and the government also presents during a social conflict that is triggered by religious issues. Â Â Â Â Â Â Â Â Â Â Â In the end, the decree was issued, so the religious leaders are hoped to respect the other religious leaders of the different faiths, do not interfere with each other and can even develop mutual respect, so the harmony will be reached and the conflict with one another will not occur, they can all blend together cohesively to build the nation. The potential that exists in each religion is expected to optimally contribute to the advancement of the nation, and do not be constrained by the tension of social communication. Â Â Â Â Â Â Â Â Â Â Â Meanwhile, in the same year Minister of Religious Affairs issued Decree number 77 Â year 1978, on foreign aid to religious institutions, namely all forms of assistance from abroad to the Religious Institution that tangible in term of personnel support, material, and financial or granted by the government of a foreign country. While, religious institution is an organisation that associates to the a certain religious community or other forms of religious institutions whose efforts are aimed at fostering the development of theÂ religious mission. In Article 2 of the decree is stipulated that foreign aid in the form of assistance, financial or material can be carried out after obtaining the approval or the recommendation from the Ministry of Religious Affairs. Even including foreign professionals who are on duty in Indonesia, if they want to help to provide guidance on religious followers, must obtain an approval or a recommendation from the Ministry of Religious Affairs. This setting is done so that the process of religious formation monitored properly by the government, so that people will not be influenced by the sects that would harm the nation. And in fact, this monitoring is also done so that the aid can be implemented orderly, neatly, in accordance with the standard operating procedure that can guarantee transparency, accountability, and, most importantly that of all religions feel fulfilled all their needs to remain nurtured and cared for by the state. Â Â Â Â Â Â Â Â Â Â Â The regulation of harmony that governs the pattern of fostering of religious communities by its scholar respectively, is arranged as well, so the government is always able to control every sociological conflict within the community, and effectively can diminish the religious conflict among the society. Even foreign aid in the form of financial assistance, human resource or any other assistance must be permitted and recommended by the Ministry of Religious Affairs, thus, all kinds of aid are used properly for the fostering the religious community and will not trigger a social rift between the different faith communities. This condition goes on for almost two decades, and continue to keep going in the community by the great service of religious instructors from the ministry of religious affairs, and theÂ professional religious speakers/religious missionaries who are not bound by the schedule of government. And also all university students from all fields of study, as the future of the nation, also studying those various regulations about harmony in diversity, which is instantly part of religious study as the compulsoryÂ subject for every departments.Â So, they will become a pioneer in the development and in the implementation of the spirit of unity that is glued together under the frame of harmony in diversity. The harmony of intern religious followers is mutual respect between people of the same religions but have different schools or sects due to the differences in some aspects of the implementation of the religion. The harmony of intern religious followers is very important to develop the harmony of inter-religious followers which are different in some aspects of the implementation of religion due to the differentiation of the historical backgrounds. And the last is the harmony between religious communities and the government. The religious instructors of all religions tried to explain to each of their congregations that harmony is part of religious teachings that need to be developed by all the believers. Thus, the Indonesian people in general are able to maintain unity within the frame of harmony by making the government policy as a doctrine or religious thought. Then year 2006, the government issued new regulation that substituted the previous regulations, namely a Joint Regulation between the Minister of Religious Affairs and the Minister of the home Affairs Number Â 8 and number 9 year 2006, about “Guidelines to Implement the religious harmony, empowering the forum for religious harmony, and getting the permission to build the houses for worship, and guidelines for the Governors, and Regents in implementing all of those dutiesâ€. In this joint regulation is also set the task of the provincial office of the ministry of religious affairs to assist Governor, and the district office of the Ministry of Religious Affairs to assistÂ Regent/Mayor to maintain and develop harmony, empowering the religious harmony forum, as well as setting the establishment of houses of worship for all religious people, as long as there are a number of religious adherents in the related districts/cities. to publish the Building Permit for the houses of worship. The implementation of these obligations, as stipulated in the regulations Number 8 and 9 year 2006, is delegated to the vice-regent/deputy mayor, and in the district level is delegated to the sub-district heads, and for the village level it is delegated to the headman/village heads through the sub district head. To encourage the continuity of religious harmony development, whether in internal religious followers, inter-religions and inter-religious and government. To maintain harmony, mutual respect and mutual maintenance among religious groups, internal religious followers, inter-religions and even inter-religious with the government. To facilitate the religious communities with the houses of worship, at least by issuing a building permit for the establishment of houses of worship, as far as in these places there are a certain religious groups a minimum of 90 people, and the approval of other people from different belief, at least 60 people. This Join Regulation is further clarifying the role and the position of government in fostering religious harmony in Indonesia. Government exists to deal with the issue of religious communities, not just to resolve the conflict between them, but rather to guide and direct all religious communities in Indonesia in order to appreciate their different beliefs, to respect those who are different in the practice of worship. 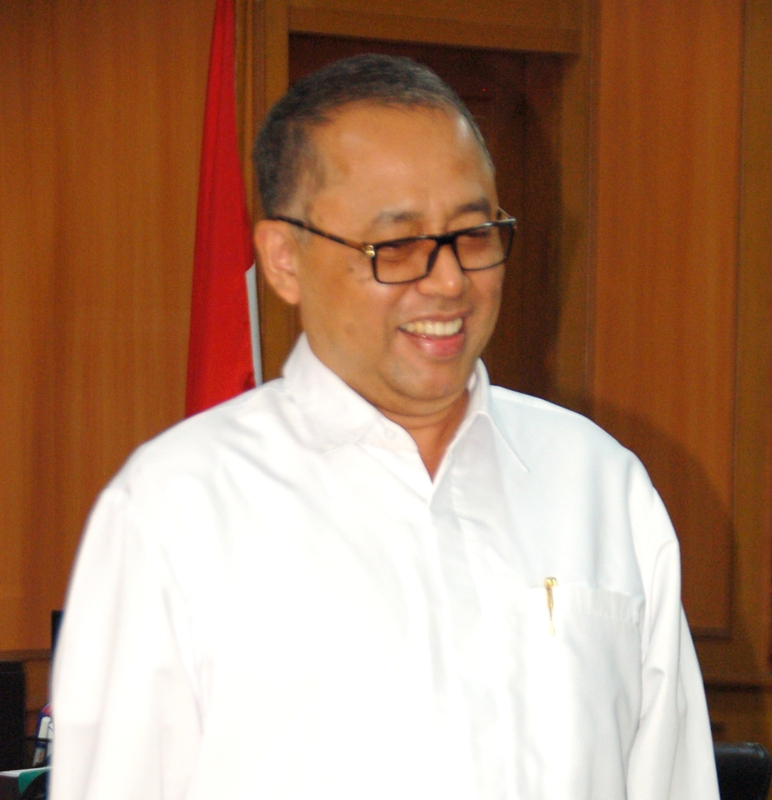 However, the harmony of which is the implementation of the mandate of the Law of the Republic of Indonesia, the harmony which was developed to maintain the cohesiveness of the Indonesian society in order to advance the nation to align with other major nations in the world, and advanced as other countries. 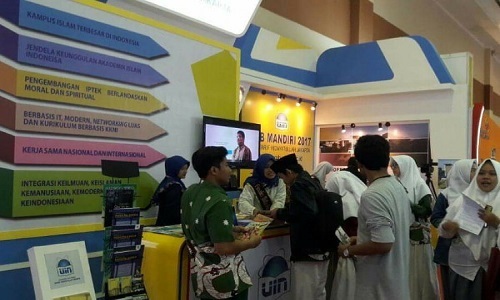 The education and development of multiculturalism among Instructors and religious preachers, to the madrasa (Islamic school) students and pesantren (Islamic boarding schools), or other religious schools those are producing the religious instructors, and also for the university students who will become the activists in religious development for the community. Essentially, Education on multiculturalism is to familiarise the religious figures so they can appreciate the diversity, including to respect the people who have different religions, by stressing out that respecting the diversity is part of the religion. Empowering Religious Followers Communication Forum (FKUB) which has been formed in every province, and is formed by the governor, however those who become the initiator is the Centre of Religious Harmony (PKUB). Thus, PKUB should schedule to increase the dialogue between religious leaders on a regular basis through forums FKUB that are already available in every province. Conducting dialogue with those who already have indicated influenced by radicalism, they who always tend to be selfish and being Takfiris, to consider people who disagree with them as infidel, often exclusive and should be invited to have a dialogue by the forums that formed by the government, because the forum has the authority to reach all social groups. Optimising the media to make the electronic media can reach many people with the programs that explain the harmony, the significance of the harmony, multiculturalism and various constructive views to build harmony in diversity. Interfaith dialogue as a regular agenda by touching the social aspects of nationality, since nationality does not only care about theology, but rather a matter of economics, culture, science and technology development that will lead this nation forward. The fostering programs are still very dominated by the government through the Ministry of Religious Affairs, and still are not varied because it only develop the fostering religious life service programs through the instructors of religion in society, and one of the counselling agenda is giving the understanding of the public about the need to respect differences and appreciate the distinction as being part of religious teachings. This movement is carried out together simultaneously by all faiths, Muslim, Christian, Catholic, Hindu, Buddhist and even Kong Hu Chu. For this purpose, the Ministry of Religious Affairs is to develop a religious higher education program, to educate those who will be the instructors of religion, as well as other professions that could be developed in the community. Â Â Â Â Â Â Â Â Â Â Â Then at the same time, the counselling activities are also carried out by the spiritual religion counsellors or instructors in the mosques, churches, temples, and monasteries and also in the Chinese temples, the religious leaders are to fostering the religion for their congregation, and one of the fostering themes is about harmony that are prepared by their ministry to be conveyed to their congregation. The government is very serious about fostering the community to maintain social harmony by maintaining the inter-religious harmony, by increasing the mutual respect of each other, so they can blend cohesively in developing the nations to become a great nation that is respected by other nations in the world. However, the other programs such as the empowerment of FKUB, the usage of television media for these programs have not been running as expected. Â Â Â Â Â Â Â Â Â Â Â Meanwhile, Indonesia also has a lot of civil organisations, and some are related to the religions, such as Muhammadiyah, Nahdhah al-Ulama (NU), Persatuan Islam (PERSIS), and so forth. Those organisations have a certain followers and are being committed to the organisation, and mostly they obeyedÂ to their religious leadersâ€™ instructions. Base on this reason, the Ministry of Religious Affairs, is also asking the religious leaders and religious instructors from those organisation, together with the government, to foster the understanding toward harmony in diversity as the one of religious behaviour and part of religious doctrine or religious thought among the religious communities. Thus, maintaining and developing respect to the other religious followers is part of religious behaviour. All those religious organisations, so far are well cooperated with the government, and part of the implementation of the government policies, particularly in enhancing horizontal communication, to promote mutual understanding, mutual respect and mutual trust. Decree of the Minister Religious Affairs No. 70 year 1978, on Guidelines for Propagation of Religion. Decree of the Minister of Religious Affairs No. 77 year 1978 of the Foreign Assistance at the Religious Institutions, article 1, paragraph 1 and 2. Joint Regulation of the Minister of Religious Affairs and the Ministry of Internal Affairs No. 8 and 9, on the Guidelines on Task of the regional head in maintaining the religious harmony, FKUB empowerment and the establishment of houses of worship, 2006, article 6 paragraphs 1, 2 and 3. Masjkuri, A Qahar, et al., Islamic Education, Gunadarma University, Jakarta, in 2003. Naim, Akhsan, and Hendri Saputra, Citizenship, Ethnic Religion, and Indonesian Daily Language, Census Results In 2010, the Central Bureau of Statistics, Jakarta, in 2010. Akhsan Naim and Hendri Saputra, Citizenship, Ethnic Religion, and Indonesian Daily Language, Census Results In 2010, the Central Bureau of Statistics, Jakarta, in 2010. 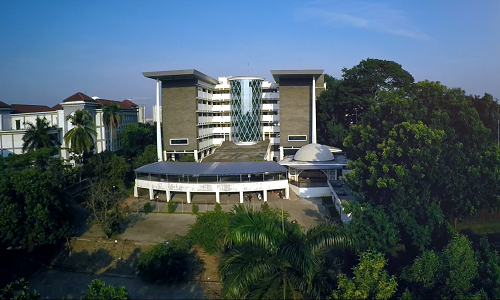 A Qahar Masjkuri, et al., Islamic Education, Gunadarma University, Jakarta, in 2003. Decree of the Minister Religious Affairs No. 70 1978, on Guidelines for Propagation of Religion. Decree of the Minister of Religious Affairs No. 77 1978 of the Foreign Assistance at the Religious Institutions, article 1, paragraph 1 and 2. Decree of the Minister of Religious Affairs No. 77 1978 of the Foreign Assistance â€¦..Article 2. Joint Regulation of the Minister of Religious Affairs and the Ministry of Internal Affairs No. 8 and 9, 2006, article 6 paragraphs 1, 2 and 3. Joint Regulation, No. 8 and 9, 2006, article 6 paragraphs 2 and 3. Joint Regulation, No. 8 and 9, 2006, article 6 paragraphs 1 and 2.